If you think that running the sound system for a rock concert looks intense, consider the sort of stress some TV mixers face. Mike Ferrara, the P.A. engineer for The Rosie O'Donnell Show, must simultaneously mix the house band, the voices of Rosie and her guests and musical acts ranging from rock groups to Broadway choruses. And it gets worse: Ferrara and his colleagues start work at 6:00 A.M., racing to prepare for a 10:00 A.M. Broadcast. "I suppose it is a lot of mixing," says Ferrara, who had racked up a decade of experience at Saturday Night Live before taking the Rosie gig. "That's why I was so happy when we added a pair of Yamaha O1V boards to our system." Ferrara reserves one O1V for mixing the house band. "It's great having the ability to recall mix setups," he says. "I just call up whatever scene I need. Say the saxophonist is going to play flute on one song: With the touch of one button, I can bring the sax mic down and the flute mic up. And I love having compression and gating on every channel, plus built-in reverb." A second O1V provides the drum and bass mixes for musical guests. "Before we had that extra mixer," recalls Ferrara, "we only had 20 channels available for the guest bands. But acts like Britney Spears, Mariah Carey and N'Sync need 40 or 50 channels, easy. Also, it's great to be able to call up basic drum settings instantly. Naturally, I tweak them as we go, but this way we can get up and running really fast. The O1Vs have made my life so much simpler." So what's the most technically terrifying day Ferrara has ever faced? "There have been so many, I can't single out just one!" he laughs. 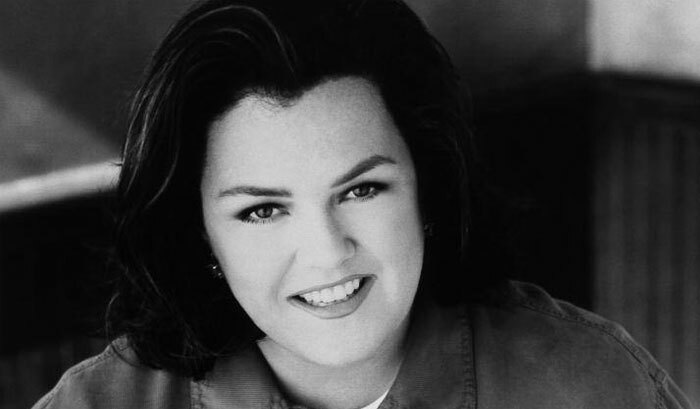 "Rosie has pushed the audio envelope for live television so much farther than anyone before her. Some oldtimers might not like being pushed so hard, but I think it's amazing!"